You will need a small, low table to place in a common area of the house, such as the living or dining room. This is your Nature Table. When you are out and about with the children, allow them to collect one or several items to bring back and place on the Nature Table. The only rule is that the objects must be natural. Kids will love finding these treasures, like rocks, leaves, sticks and so on. 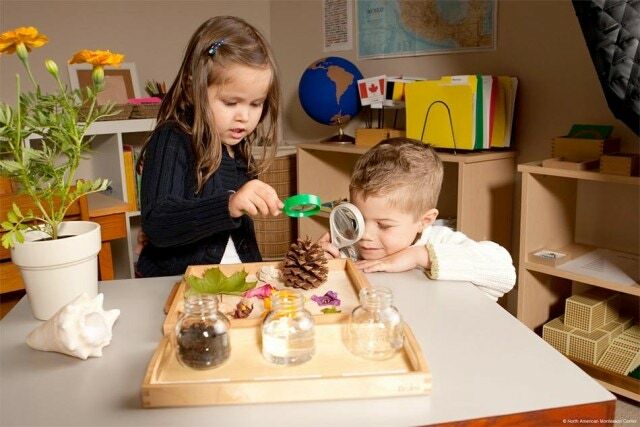 Allow them to play with the items on the table and rearrange them as they wish. Create different themes for the table, such as the seasons or rocks, leaves or sticks. Go on a weekly Nature Table walk to find treasures. Cover the table with different colors of fabric for a change or to mark a change of season. Change the Nature Table on specific days, such as winter and summer solstice or the first day of a season, to connect your child to seasonal changes in nature. Place a magnifying glass on the table to inspect items close up.